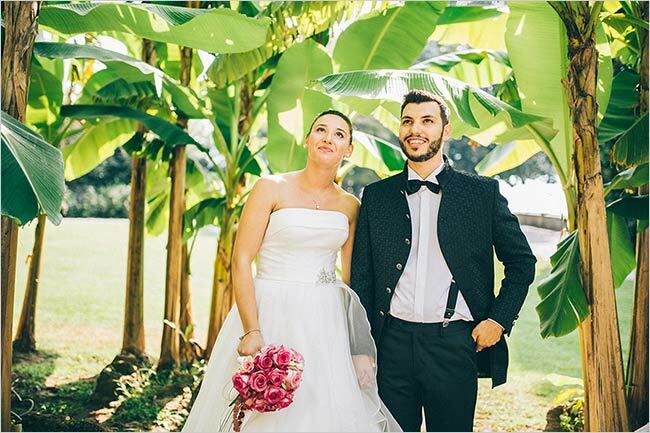 e are sure you remember about Andrea and Simon’s wedding our planner Valentina told you about. 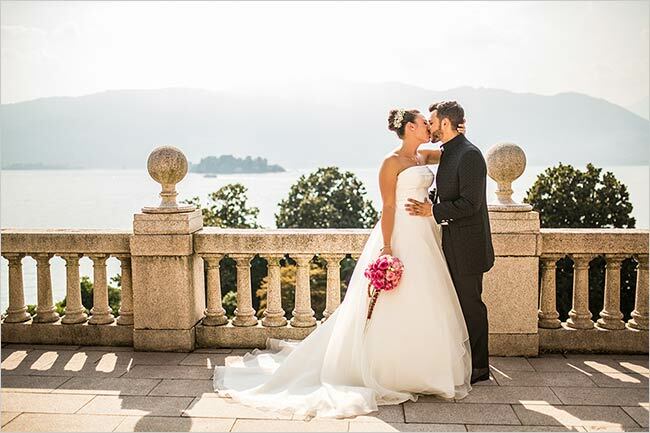 They got married on the very top of a wonderful villa overlooking Lake Maggiore. 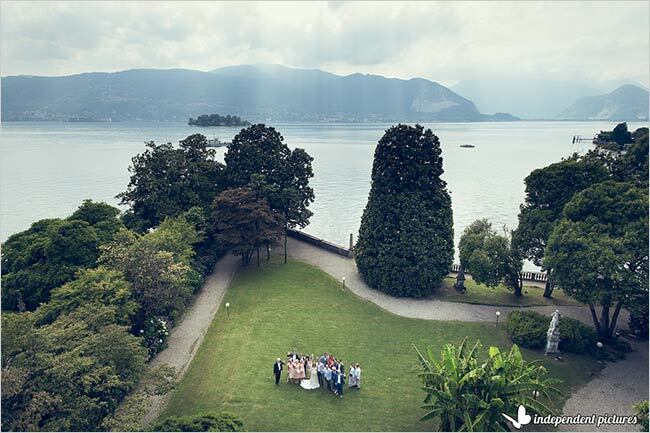 This is Villa Giulia a wonderful option for your legal civil ceremony outdoor on Lake Maggiore. An occasion you cannot miss! 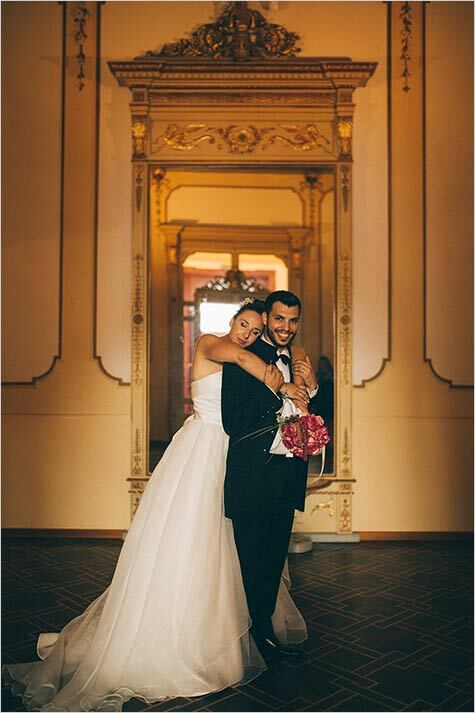 Together with the pretty town hall of Pallanza where most of our couples who chose Villa Rusconi Clerici for their wedding tied the knot, Villa Giulia is the official venue for legal civil ceremonies in Pallanza. 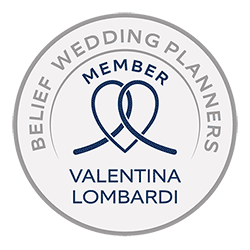 Thanks to a local law Villa Giulia can host legal civil ceremonies since 2012. 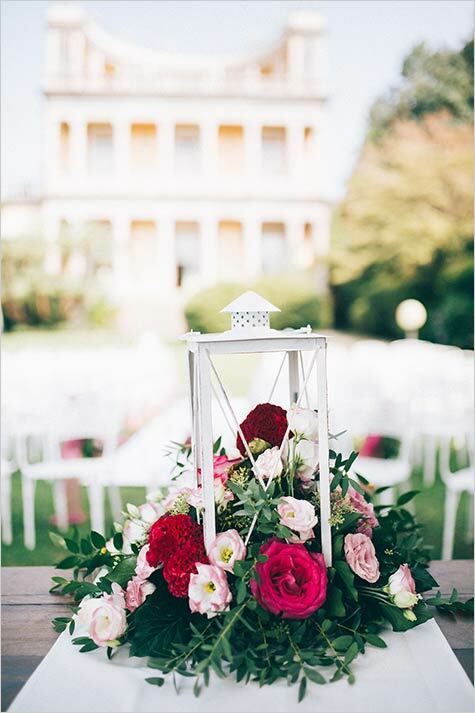 With this post we want to introduce Villa Giulia in all its beauty. 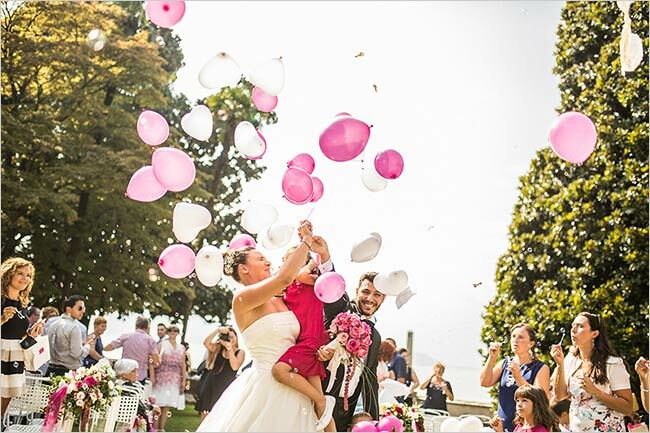 We can do it thanks to wonderful photos by Noemi Mazzucchelli and Independent Pictures. Working with all of them is always a great pleasure. so thanks to all for providing such great shots! 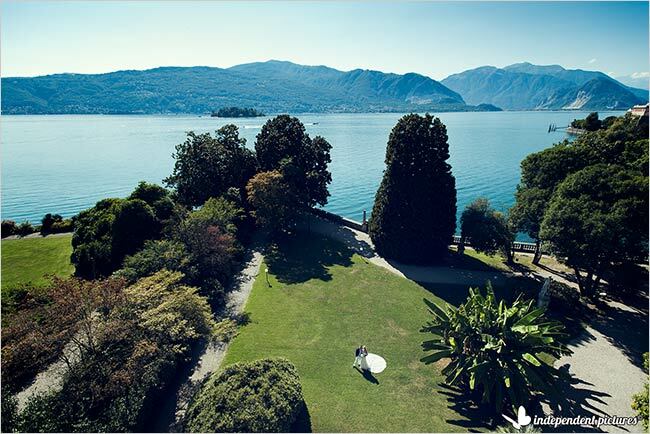 A little touch of history to show you the beauty of Villa Giulia. It was built back in 1847 by Cavalier Ferdinando Branca. He was the famous creator of Fernet Branca Italian Liquor. The villa has a majestic facade facing the lake. It has loggias and columns on each floor and a rounded terrace on the very top. It has been built in Liberty style and it has a wonderful English garden in front of it. 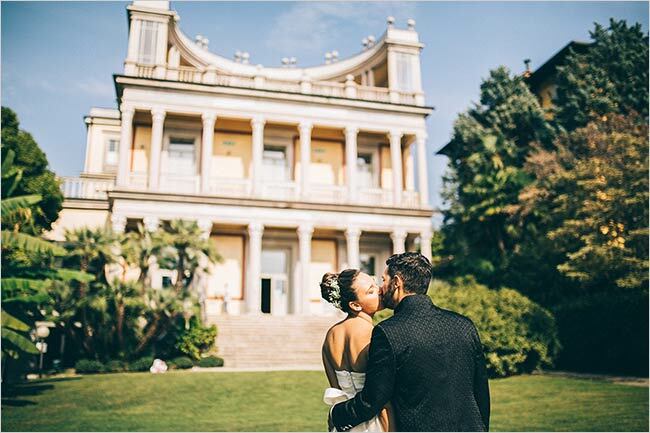 In 1932 it has been converted in a Casino and Club but luckily in 1987 Villa Giulia has been acquired by town hall of Pallanza and it has been converted in a cultural venue hosting exhibitions, events, music and local products tasting. 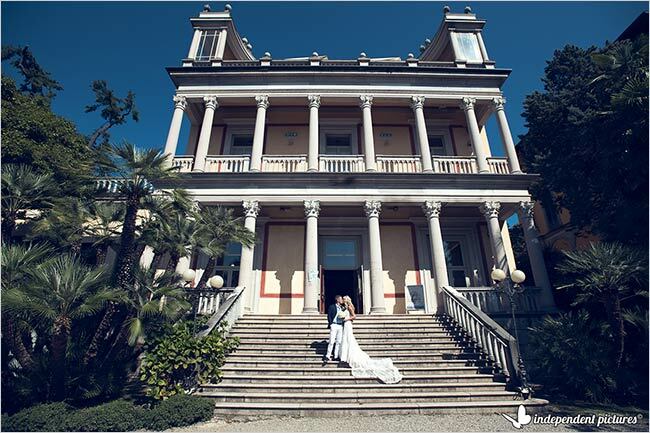 In 2012 then Villa Giulia started to host legal civil ceremonies for resident weddings and destination weddings. 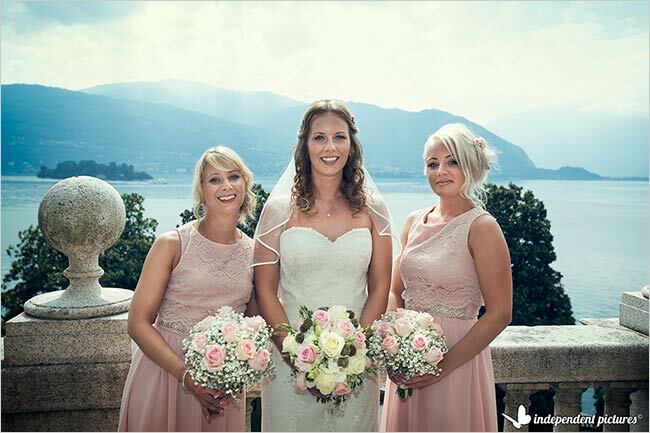 We often suggest to reach Villa Giulia by boat especially if you decide to stay in Stresa or Baveno where the best hotels on Lake Maggiore are located. As the matter of fact the only big hotel in Pallanza is Grand Hotel Majestic which is located few steps from Villa Giulia. 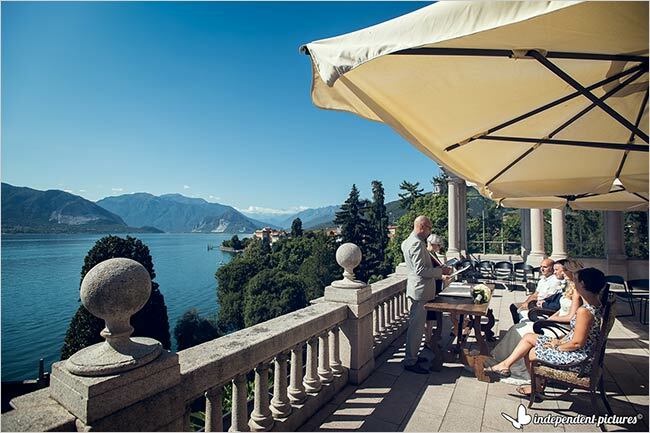 So your guests could reach Villa Giulia walking if they stay at Grand Hotel Majestic or we could plan for them a wonderful boat trip crossing the Lake from Stresa or Baveno to Pallanza. 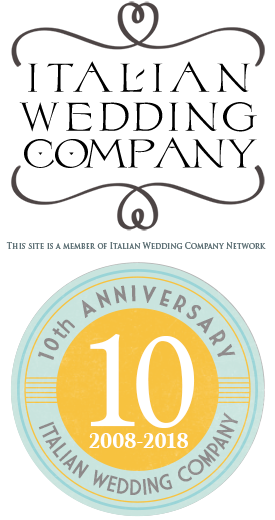 The trip won’t be long at all and it will give the opportunity to your guests to look at wonderful views of Borromeo Islands – Isola Bella, Isola Pescatori and Isola Madre – by the waters. 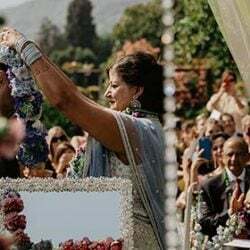 Once there bride will arrive to follow with a special boat. 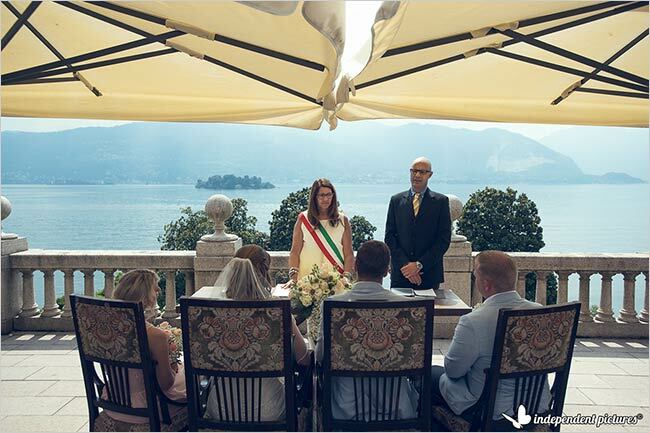 You have two options for your legal ceremony at Villa Giulia. 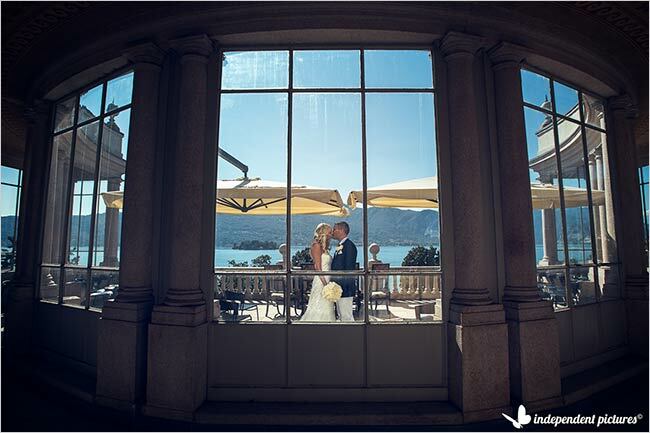 You can opt for the top terrace of the very last floor of the villa with a magnificent view over Lake Maggiore just like Simon and Andrea did. 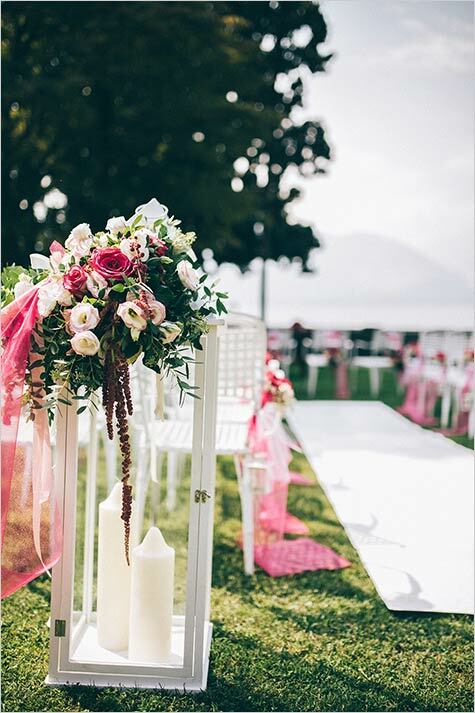 Or you can chose to set your legal civil ceremony in the wonderful lawn of the villa by the lake shores in a wonderful greenery area. We love both options and both are outdoor! 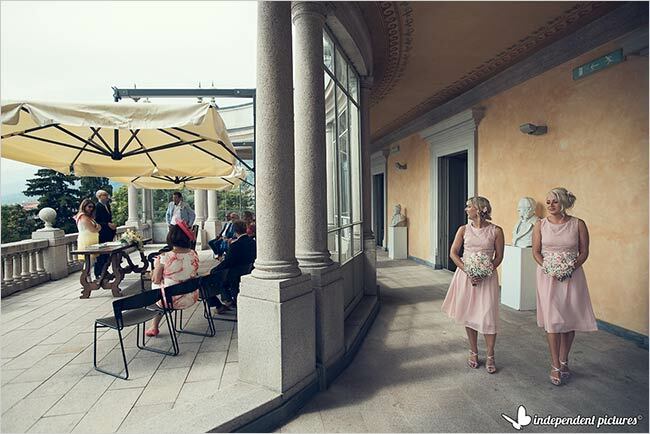 In case of bad weather there are some rooms indoor that could be used inside the villa or for small numbers there is a special area on the top terrace that can be used too so you could still enjoy the view of Lake Maggiore in all its beauty. 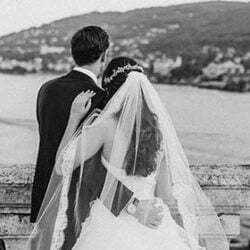 Civil ceremonies can be enriched with music, poems and readings to make it even more personal. 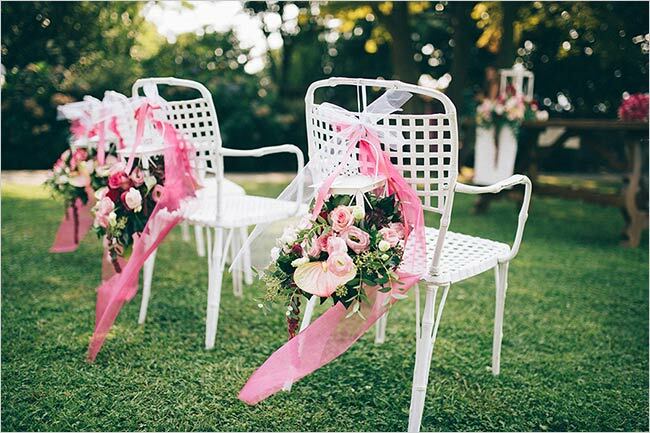 We can embellish the venue with the most beautiful flowers and decorations according your wishes and needs and we will be pleased to help you with all legal procedures to have a legal married here in Italy at Villa Giulia. Side of Villa Giulia inside the same property, there is a small bar. 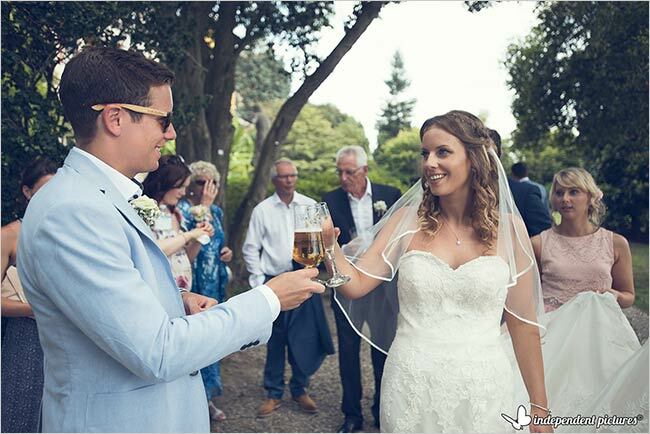 It could be just ideal for a toast after the ceremony or even before! 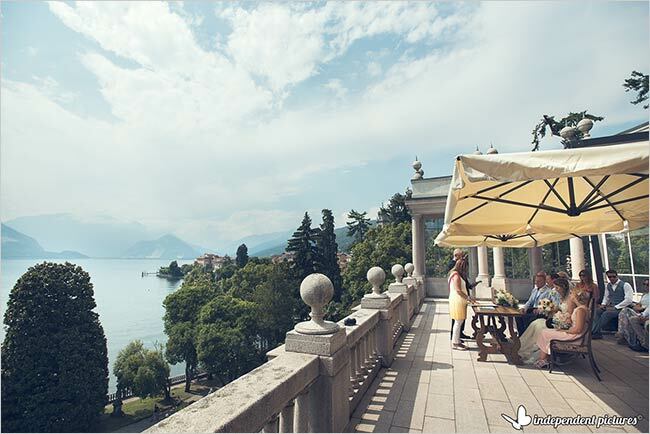 You and your guests could taste some Italian prosecco enjoying the view over Lake Maggiore. This will also give you some time for you to have some amazing photos in the gardens. 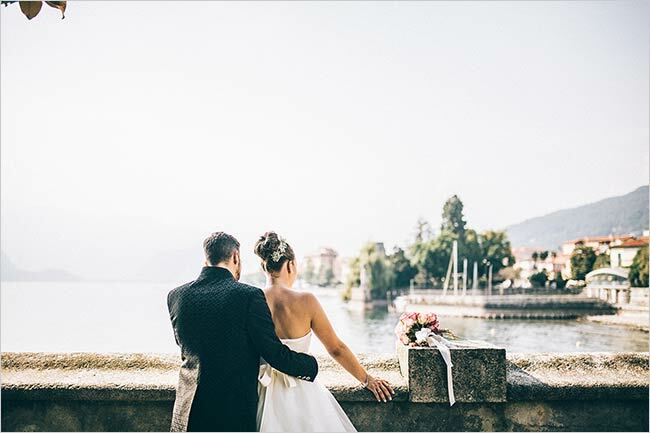 After the toast you could take back your boats to reach your reception venue in Stresa or Baveno or even decide to drive to Lake Orta to celebrate, Villa Giulia is only about 20 minutes drive from Lake Orta. 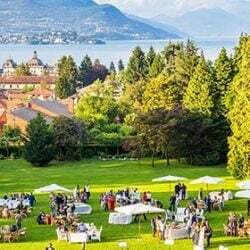 But we really cannot forget that literally next door Villa Giulia there is Villa Rusconi Clerici one of the most wanted wedding reception venues on Lake Maggiore. 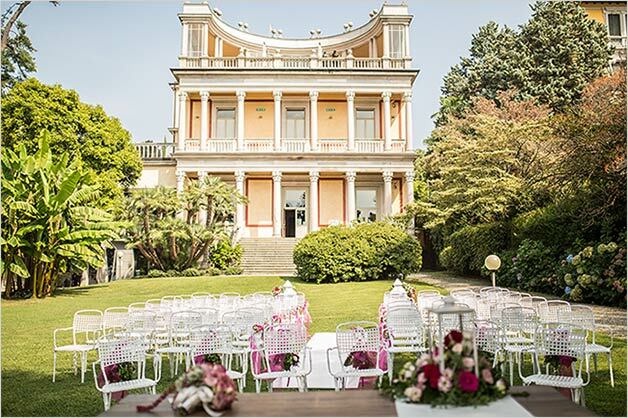 So if you want to plan a reception at Villa Rusconi Clerici with a legal civil ceremony you really do not need to move at all. The two villas are located just one side of the other so for you and your guests it will be very handy. No transfers are needed! 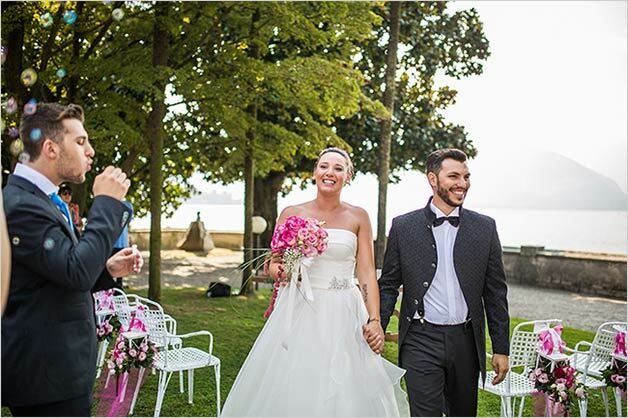 We are sure you will love Villa Giulia as much as we do and if you are thinking about a legal civil ceremony on Lake Maggiore we are sure that this is one of the best option. Do not miss it! For further information and booking please do not hesitate to contact us! 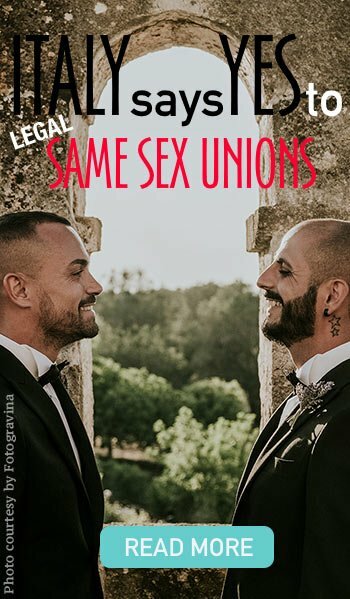 Amazing work! I like your style and the colours of your pics.